However, you probably don't know where he came from, or whether his "Get A Brain! 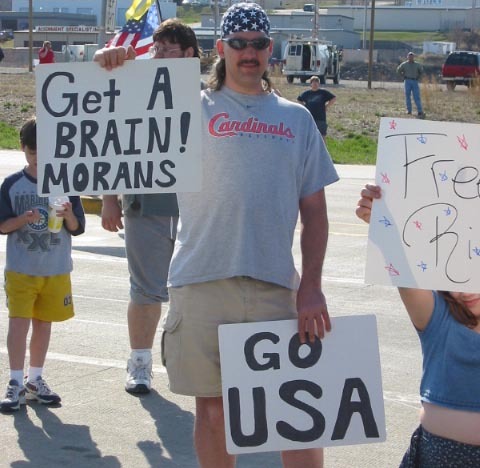 Morans / Go USA" sign is some sort of joke. For one reason or another, various theories have been put forward. Well, I am here to inform you that he is very much real, and he had good company too. 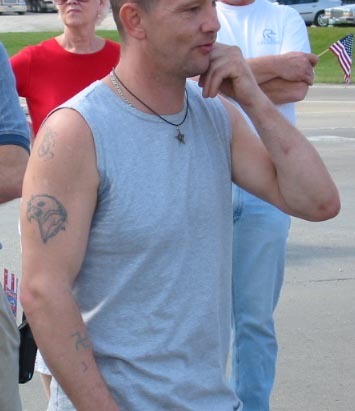 He was demonstrating at a pro-war counter-protest on March 23, 2003 in St. Louis, Missouri. On Sunday, March 23, about 350 pro-peace activists took part in a solemn funeral procession to the Boeing missile factory in St. Charles, MO. A team of civilian weapons inspectors dressed in white overalls demanded to enter the plant to inspect the US weapons of mass destruction that are being produced there. 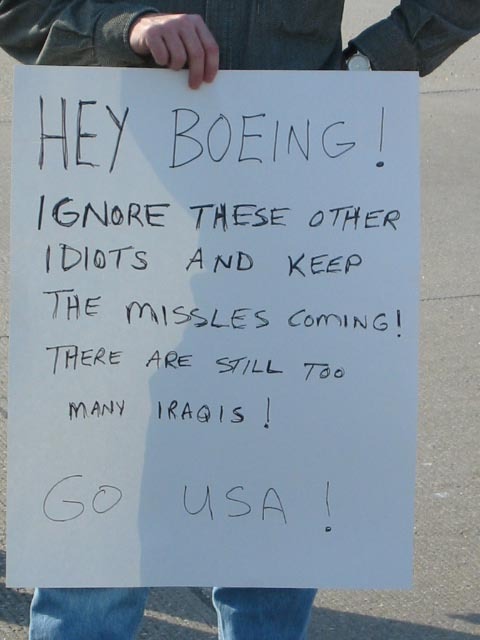 When they were denied entry, they sat down in front of the Boeing gate in protest. Later in the afternoon, 14 civilian weapons inspectors were arrested for blocking the entrance to the Boeing bomb factory. 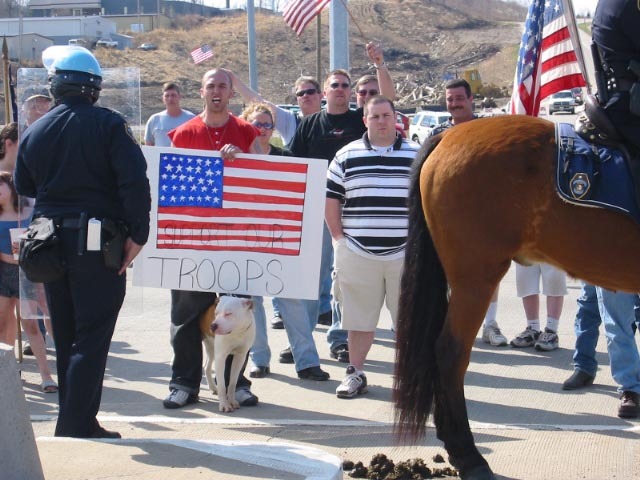 A hostile crowd of roughly 75, flag waving, pro-war protesters showered the silent peace protesters with insults and violent threats, but they were held back by the police. This page has been accessed 20,560 times. This page was last modified on 8 November 2009, at 17:10. Content is available under Attribution 2.5 .